Introduction: Intertrochanteric fractures in the elderly are common fractures with high morbidity and mortality. Moreover, its surgical stabilization with early rehabilitation remains a persistent challenge. These patients have poor bone quality and conventional osteosynthetic procedures frequently lead to nonunion and metal failure. The primary goals of treatment are stable fixation and early rehabilitation. The aim of this study was to evaluate the functional outcome, complications of intertrochanteric fractures treated with trochanteric fixation nail (TFN). Materials and Methods: This retrospective study was conducted on the total of 50 patients with fracture intertrochanteric femur and treated with TFN from July 2011 to August 2016. The patients evaluated at 6 months, 1–4 years postoperatively and assessed using the Modified Harris hip score. Results: The mean age of patients was 59.78 ± 16.58 years. There were 37 males and 13 females. The mean duration of surgery was 40.40 ± 20.86 min. The mean union time was 2.20 ± 0.50 months. One (2%) patient developed deep venous thrombosis, whereas 1 (2%) patient had back out of stabilizing screw and 1 (2%) patient had implant failure. The Harris hip score at 1-year and 4-year follow-up was 92.12 and 97.92, respectively, which is slightly better than scores from other implants used for similar fracture. Conclusion: For intertrochanteric fracture fixation, trochanteric femur nail offers good functional outcome with early ambulation and weight bearing with a high rate of union and minimal complications. Background: Hospital emergency departments (EDs) play a vital role in the health-care system, providing care for patients with acute illness and injury, and access to the health system in Nigeria. Aim: The aim of the study is to determine the sociodemographic profile of medical presentation seen EDs of a teaching hospital. Methods: This was a cross-sectional study of patients presenting at the medical accident and emergency (A/E) at the University of Ilorin Teaching Hospital over a period of 12 months. Ethical approval was obtained from the Hospital Ethical Review Committee to carry out the study. Information obtained includes demographic data, clinical presentation, duration of stay in emergency, and outcome in the EDs within 48 h of arrival. Data were analyzed using SPSS version 16 computer software, and results were presented in tables and figures. Results: A total of 796 were seen over the study period. 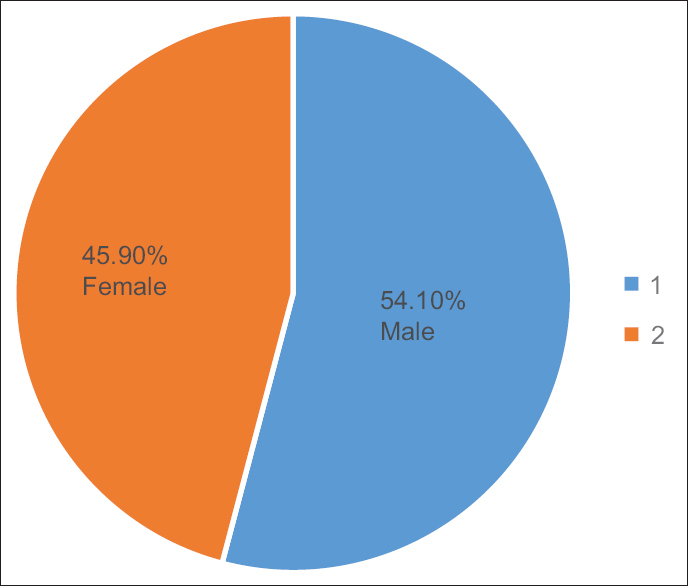 About 54.1% (431) were male and 45.9% (365) were female giving a male: female ratio of 1.2:1. Most of the patients (650, 81.7%) were from Ilorin township or its immediate environs, and about 32.4% were unemployed. About 58% (462) of our patients presented to the ED without a referral either from a primary or secondary health care. Stroke accounted for 75 (9.4%) of diagnosis, diabetes mellitus and its complications in 59 (7.4%), systemic hypertension and its complications in 52 (6.5%), malaria in 49 (6.2%), sickle cell anemia in 37 (4.6%), and chronic heart failure in 21 (2.6%). 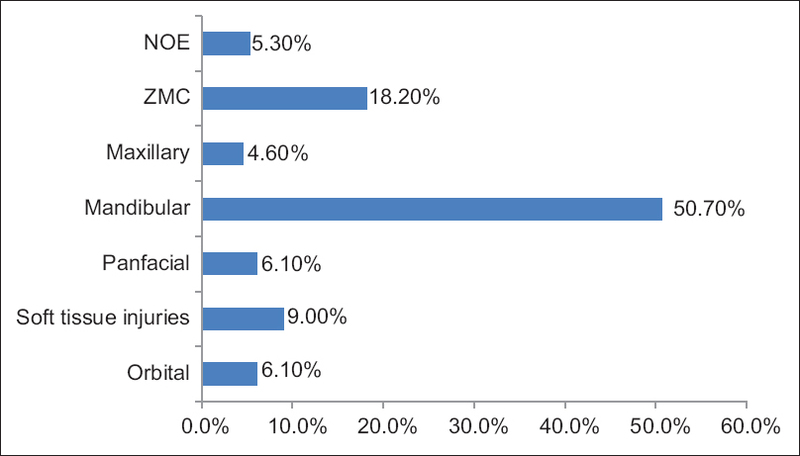 About 29% (231) stayed beyond 24 h on the ED before being moved to the ward, 26% (207) stayed longer than 48 h due to nonavailability of bed space on the ward and financial constraints, while 32.2% were either transferred or discharged within and mortality was recorded in 12.8% (102). Conclusion: Male utilizes the medical ED more than the females, most of the patients were in the younger age group, and majority of whom are self-employed. Most patients were walk-in patients. The most common reason for presentation at the medical ED for admission was stroke which was also the leading cause of death. Background: Foreign-body aspiration (FBA) remains a life-threatening condition that is a frequent cause of accidental death in children below the age of 5 years worldwide. This study was carried out to evaluate the knowledge of FBA in children among caregivers and to determine the sociodemographic factors affecting their knowledge. Settings and Design: This was a descriptive cross-sectional study design that was carried out at the pediatric outpatient department of Aminu Kano Teaching Hospital, Kano, Nigeria. Methodology: Institutional ethical clearance was obtained from the ethical committee of the same hospital. Using systematic sampling technique, all data collected using a semi-structured questionnaire was analyzed with Statistical Product and Service Solutions (SPSS) version 23 and statistical significance was set at value of P < 0.05, at 95% of confidence interval. Results: A total of 266 participants were recruited for this study. Forty percent were within the age group of 25–34 years, predominantly females (63.9%), majority (81.6%) were of the Hausa-Fulani ethnic group, most (83%) were married and 86.3% had formal education. 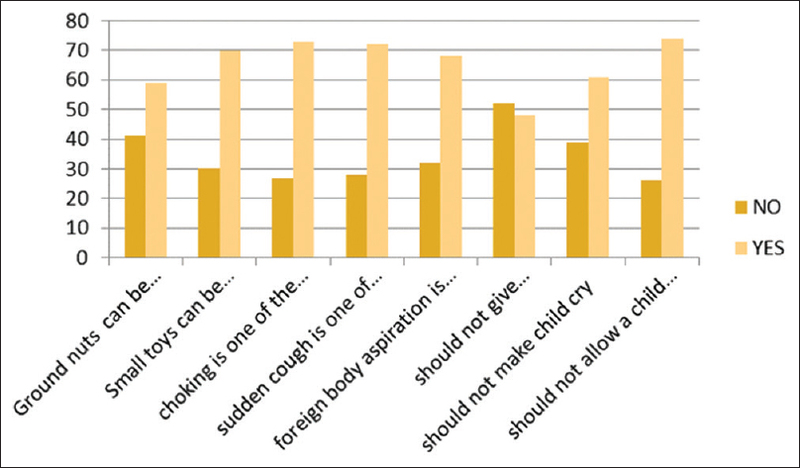 In general, there was good knowledge (68.4%) of FBA to be more in children, but only 13.9% knew that toys and other nonfood materials as potential objects of aspiration by children and 47.4% knew that they should not give groundnuts/seeds or small toys to children <3 years. Marital status, gender, and the level of education were found to be statistically significantly (P < 0.05) associated with knowledge of FBA. Conclusion: Although there was good knowledge that FBA occurs more in children, there was very poor knowledge about potential objects of aspiration that are not food substances. Therefore, different strategies in creating awareness through proper health education on the dangers of FBA should be adequately explored. Sternoclavicular (SC) joint injuries are rare. These usually follow violent injuries or high-velocity trauma events. These injuries can be either anterior or posterior dislocations. 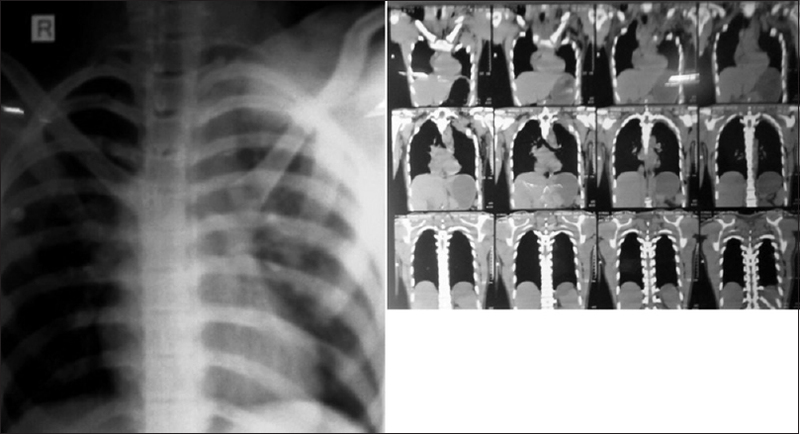 Anterior dislocations may be left alone, but posterior dislocations could cause complication by compressing the posterior structures including major vessels, airway esophagus, and larynx. We report a 17-year-old boy who fell from his two-wheeler sideways and injured his left shoulder. He presented to the emergency department with an open fracture of the clavicle. A detailed evaluation revealed an associated anterior SC joint dislocation, and there was an injury to the subclavian artery. The patient was planned for an emergency surgery, and the clavicle fracture was fixed following thrombectomy of the subclavian artery. The patient was successfully treated and had a good functional range of movement of his shoulder at 1 year follow-up. Anterior SC joint dislocations with concomitant open clavicle fracture are an unusual injury pattern. 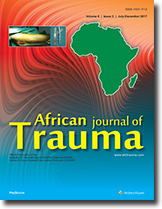 We report a complex injury pattern of the clavicle associated with traumatic vascular injury. 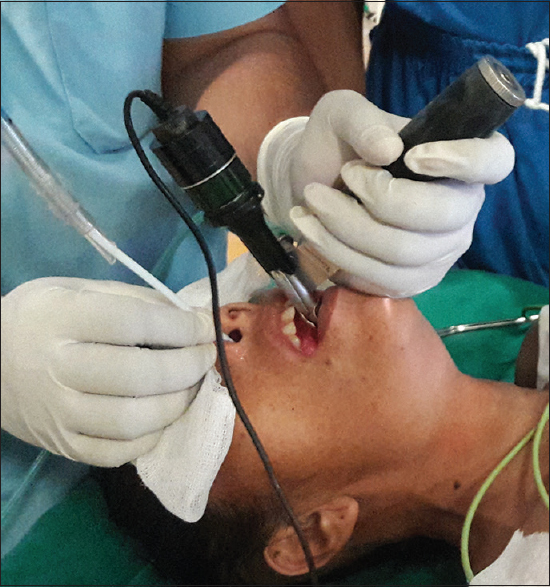 We report this case for its complexity and the technical challenge it poses to the treating surgeons.